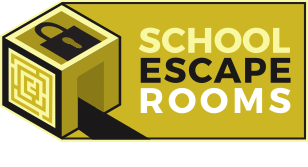 If your school has already taken part in our Escape box activity and are looking for that next level of Escape Room experience, all still at your school, then we are excited to report that we now have a real life Mobile Escape Room. 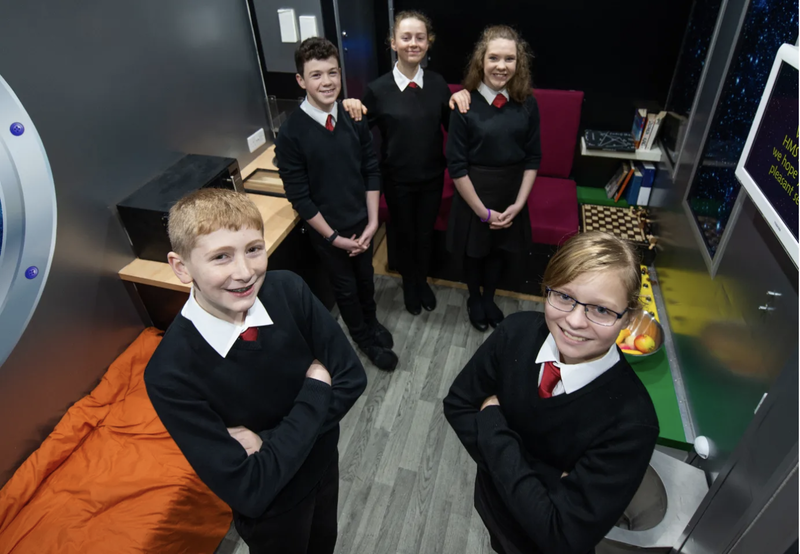 Our Mobile Escape Room visits schools through out the UK and has been carefully designed to allow us to differentiate the experience for pupils in Year 5/6 at Primary Schools through to sixth form, college and university students. We are also able to operate our Mobile Escape Van for teachers and other school staff. Our Mobile Escape Room can accommodate 5-6 participants at a time with our standard experience lasting 40mins. This allows for 6 sessions in a standard school day. A suggested timetable can be seen in the right sidebar but we are used to working with schools and often create custom timetables to your suit your schools particular needs. Our Mobile Escape Room can be made as a stand alone booking or can be incorporated into a day featuring our other escape room activities or from a large range of team building activities offered by our sister company The Problem Solving Company. We are happy to tailor a day to meet each schools specific needs. Our Mobile Escape Room is currently themed as a space prison where inmates have a limited sentence before being ejected into space. The task for your nominated super sleuths is to find a way to escape the prison cell and compound before they fulfil a destiny of becoming yet another bit of space trash orbiting the earth. On booking our Mobile Escape Van, schools can decide whether they want a “Maths” based experience or just a “Team Building” based experience. Both provide a fantastic Team Building Experience, the Maths options allows greater emphasis on Maths Problem Solving. We have a range of game settings that allow us to run different length games in our Mobile Escape Room. This ranges from 5 sessions of 1 hour in length through to 10 sessions of 30 mins.